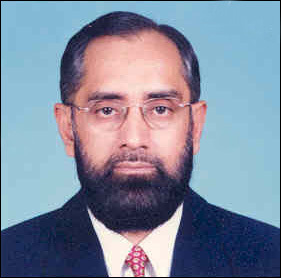 Hails from the noble, religious family of Hazrat Qutub Jamal-Ud-Din Ahmed Hansvi (583 -659 A.D. approximately), the disciple and khalifa of Baba Farid-Ud-Din Shakar Gunj of Pakpattan, belonging to the Chistia order of Mystics. 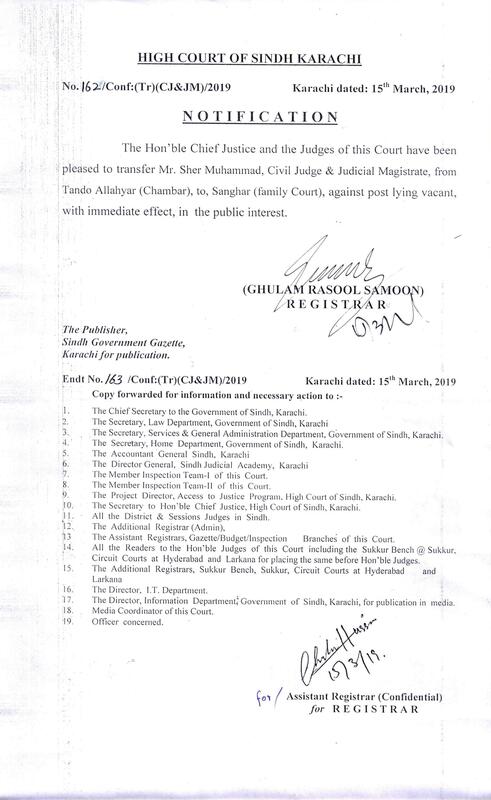 Parent migrated in the year 1947 from Jaipur, India. 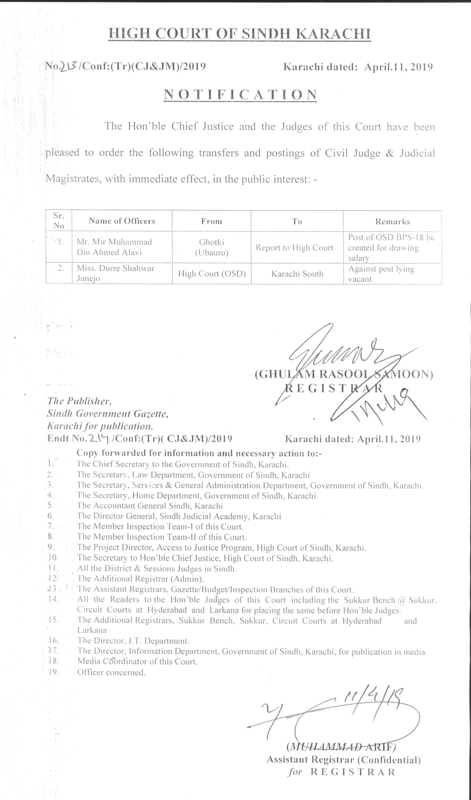 Born at Hyderabad (Sindh) on 31.12.1951; completed the Bachelor's Degree in Commerce and the Bachelor's Degree in law from University of Sindh in the years 1971 and 1973 respectively; enrolled at the Sindh Bar Council as an Advocate of lower Court on 10.01.1975; admitted and enrolled as an Advocate of High Court on 13.11.1977; admitted and enrolled as an Advocate of Supreme Court on 14.05.1987; practiced at Hyderabad (Sindh) mainly on civil and constitutional side till elevation as judge of Sindh High Court in May 1998; joined Hyderabad (Sindh) Law College as Lecturer in the year 1984 and served in that capacity for about two year; worked as council for UBL for about ten years and Legal Advisor of Catholic Board of Education and Saint Bonaventure's High School Hyderabad for over ten years. 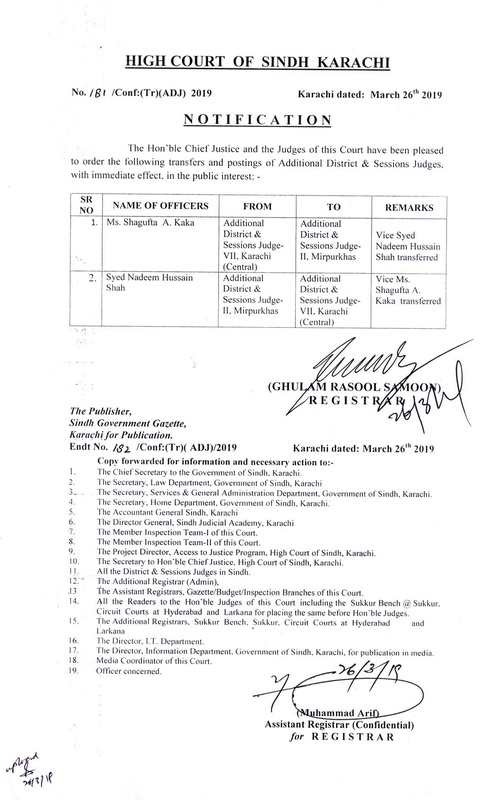 Elected as President District Bar Association Hyderabad in the years 1983-84, 1995-96, 1996-97 and 1997-98; elected as Member, Sindh Bar Council from Hyderabad Division for two terms of five years each in the years 1989 and 1994; elected as Chairman Benevolent Committee of Sindh Bar Council in the year 1991; elected as Chairman Executive Committee of Sindh Bar Council in the year 1995 and held this post till elevation to the Bench; also remained member of several other sub-committees formed by the Sindh Bar Council; remained officer bearer of several other social. 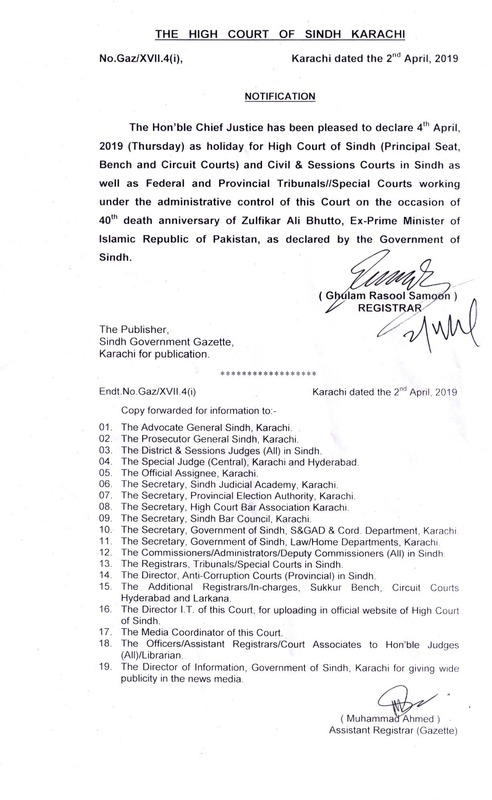 Educational and human rights organizations at Hyderabad and attended their legal work on honorary basis. 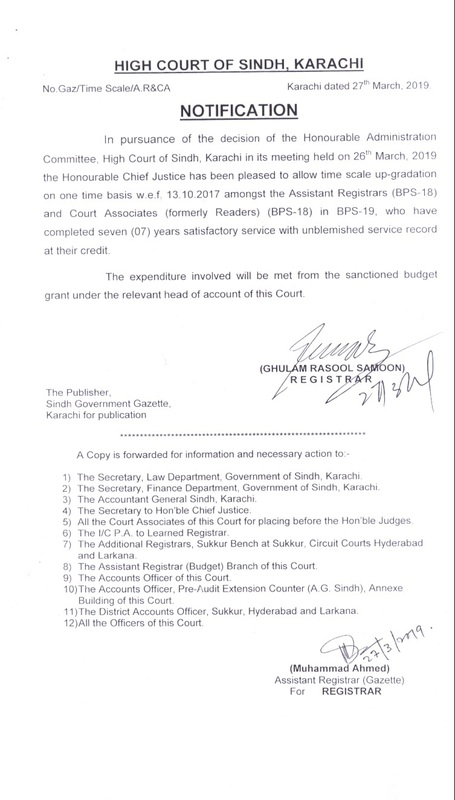 Nominated by the Governor of Sindh as Member Board of Governors for the Government Law College in Sindh (excluding Karachi) in the year 1995; nominated by the Chief Justice, Sindh High Court, as Member Syndicate NED University of Engineering and Technology, Karachi in November 1999; nominated by the Chief Justice, Sindh High Court as Chairman Enrollment Committee, Sindh Bar Council in March 2000; nominated by the Governor of Sindh as Chairman Provincial Zakat Council Sindh for a term of three years in December 2003; also nominated as Administrative Judge, High Court of Sindh w.e.f 07-06-2006 & continued as such till 03-11-2007 when he refused to take fresh oath under the Provisional Constitutional Order No.1 of 2007. 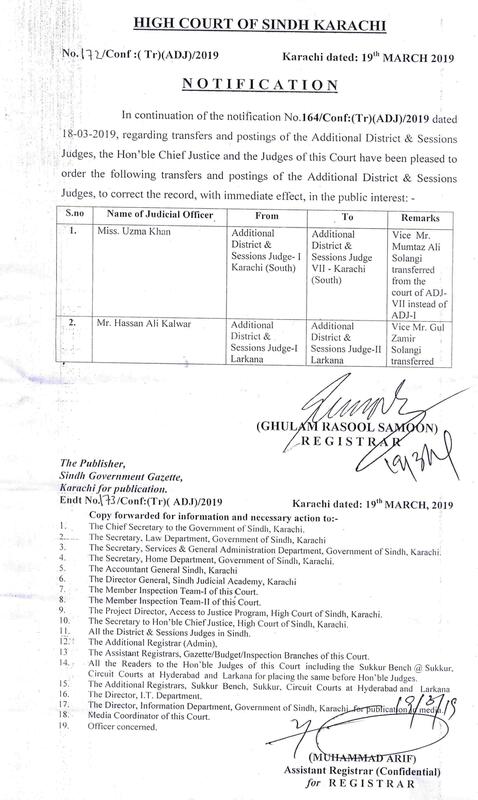 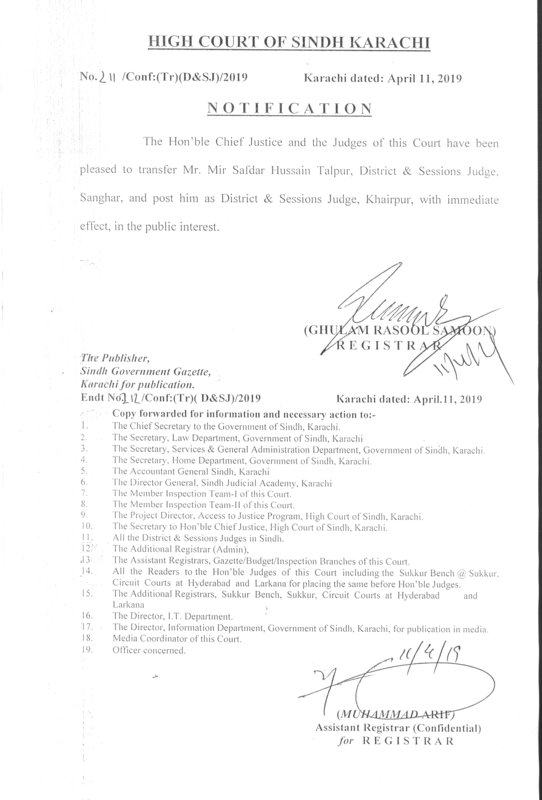 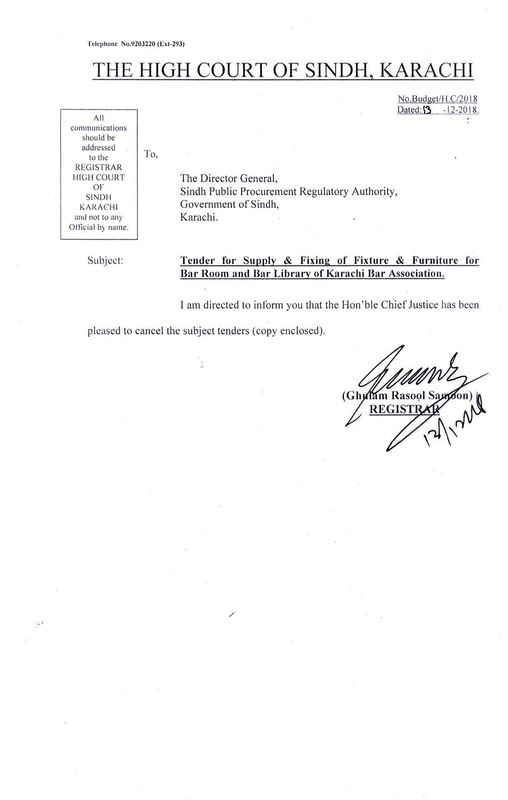 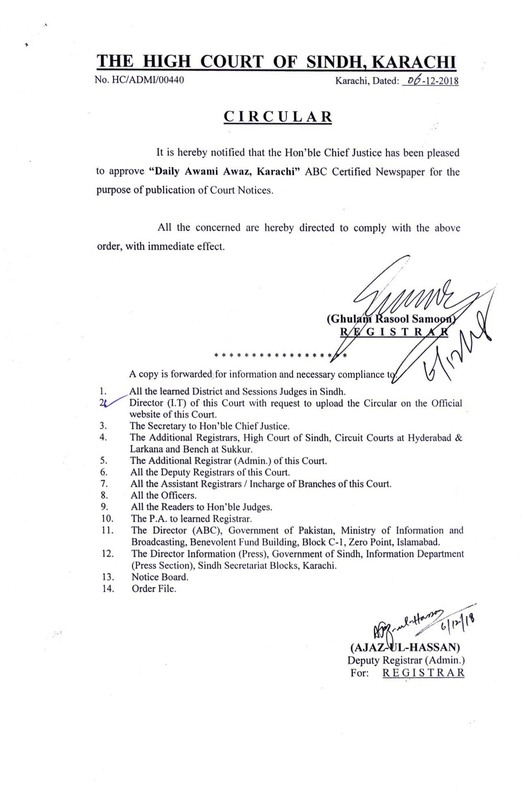 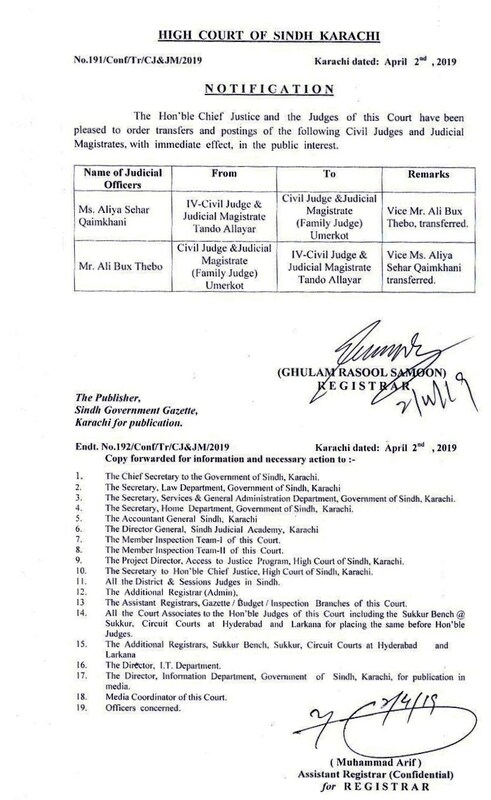 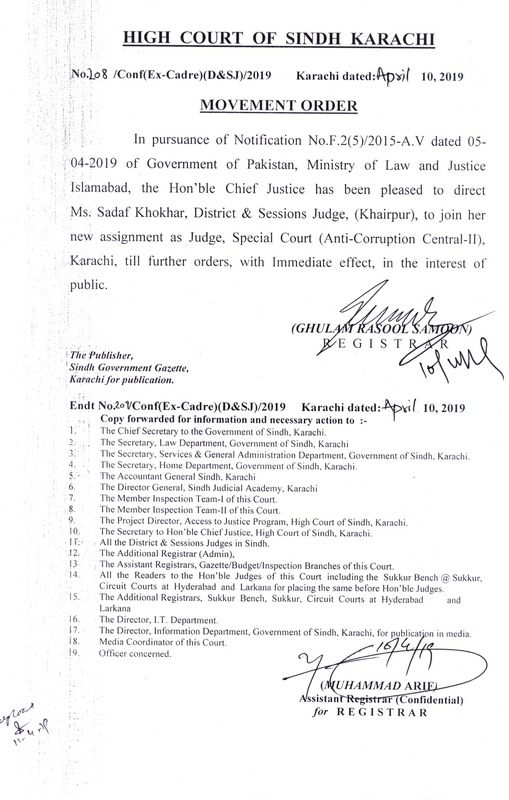 Reappointed as Judge and Chief Justice High Court of Sindh on 27.8.2008.